On 28th March 2017, In Nallamuthu Gounder Mahalingam College, a Guest Lecture on “Search Engine Optimization” was conducted in the academic year 2017-18. The session began with a prayer song and The function was headed by our honorable Chief Guest: Mr. Ashok Marimuthu, Founder & CEO, Sataware Technologies, and supported by the College Principal Dr. P.M.Palanisamy It was successfully organized by the coordinators and Computer science department staffs members who encouraged the student for their active participation. The Guest Lecture winded up with the National anthem. 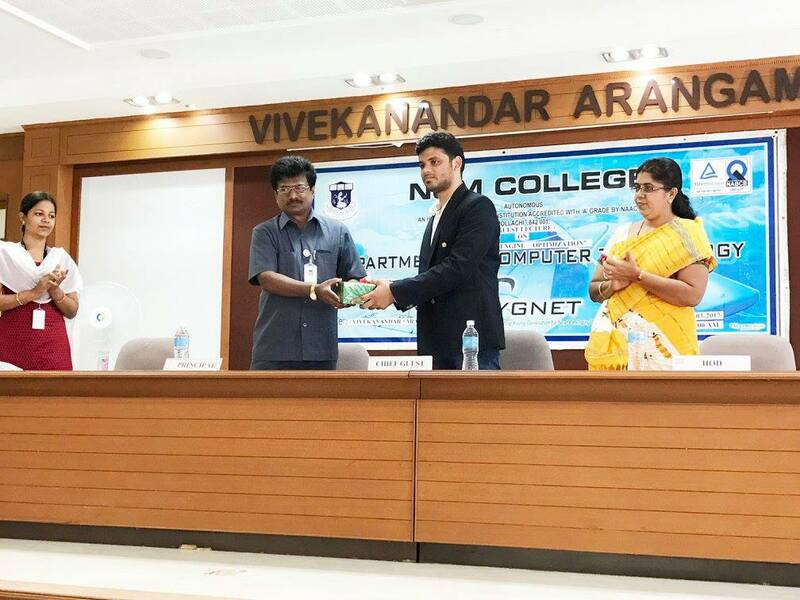 “Honored to be the chief guest at NGM College. Great student body and faculty, asking all the big questions.” – Ashok Marimuthu, Sataware Technologies.